Come on out and HAVE A SLICE with IMNDC! Your favorite Seattle improv troupe is putting on a comedy show featuring some of your favorite, top-notch improv comedy talent from the Seattle area. One lucky audience member will see a show about their life — AND WAIT, there’s more — they’ll also get to enjoy their very own slice of pizza, courtesy of IMNDC. 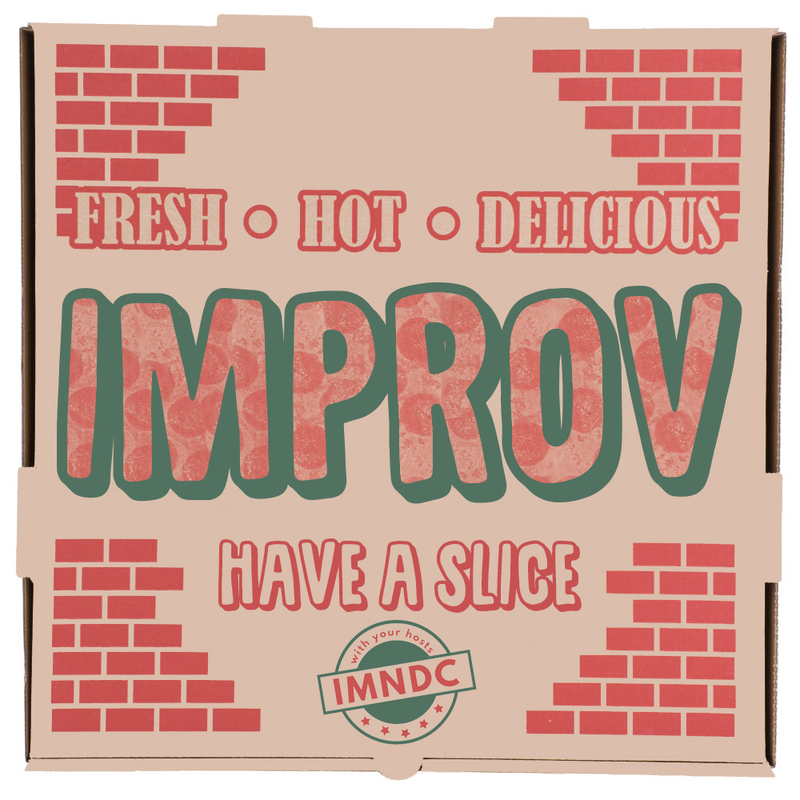 Come on up and watch as IMNDC turns a slice of one audience member’s life into pure, unadulterated comedy gold! Interested in seeing authentic, high-risk, long form improv comedy — no whistles, bells, or matching T-shirts? This is the show for you!